Tania Mallet wears Mary Quant and James Wedge on the cover of British Vogue, October 1, 1963. Photo: Brian Duffy. Image: eBay. Model and Bond girl Tania Mallet (b. 1941) was born in Blackpool to English and Russian-English parents. (Her mother, Olga Mironoff, was Helen Mirren’s paternal aunt.) She began working as a model in the late 1950s after taking a course at the Lucie Clayton Charm Academy. You may recognize her from her role as Tilly Masterson in Goldfinger (1964). 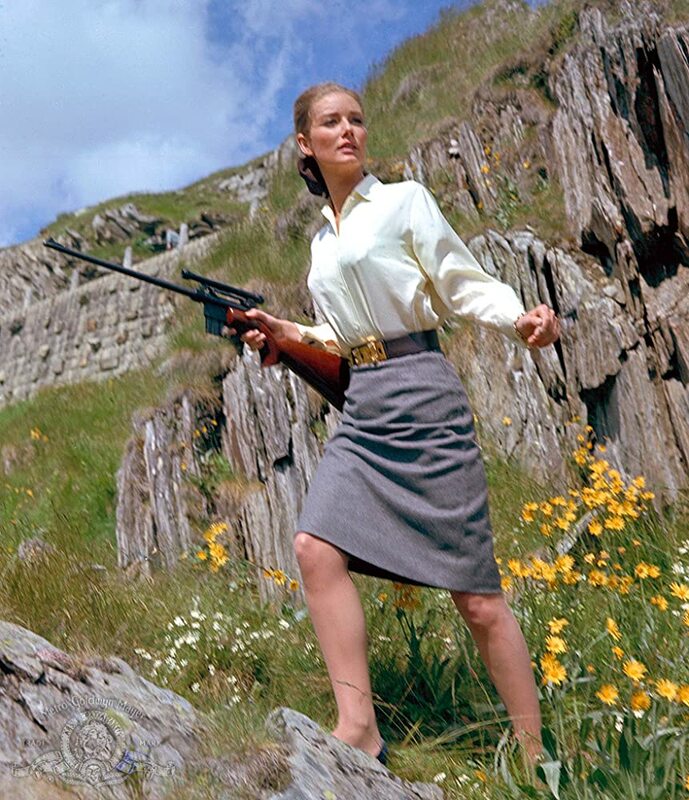 Tania Mallet as Tilly Masterson in Goldfinger (1964). 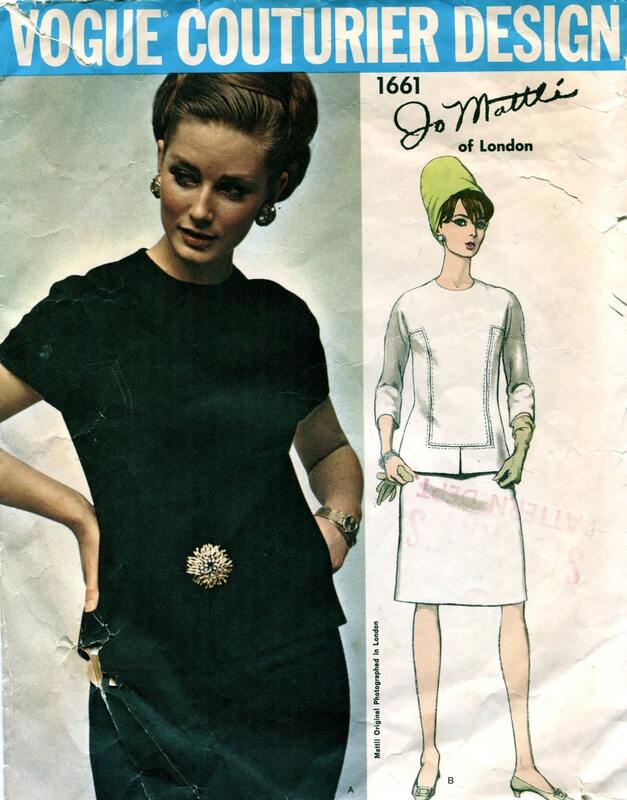 IMDb image ©Metro-Goldwyn-Mayer Studios Inc.
Mallet’s modelling work in the 1960s included editorials for Vogue patterns and Vogue Knitting Book. 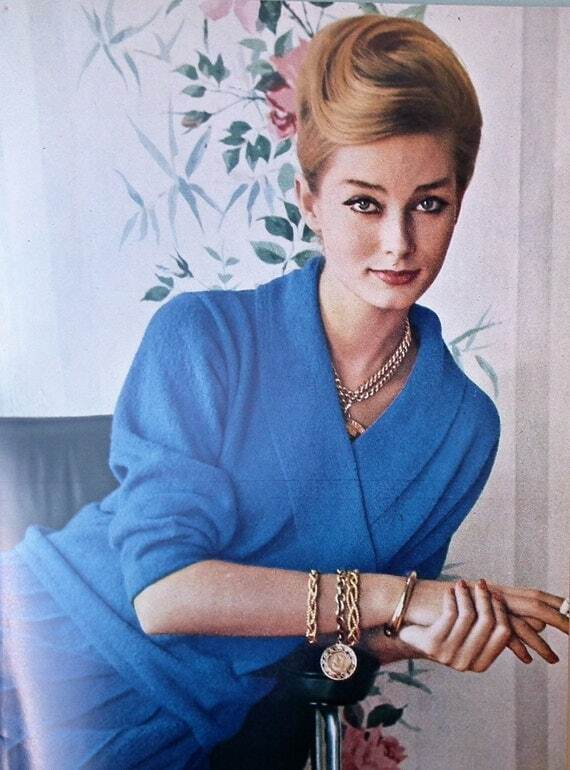 Tania Mallet in Vogue Knitting Book no. 60 (Jubilee edition), 1962. Image: Etsy. 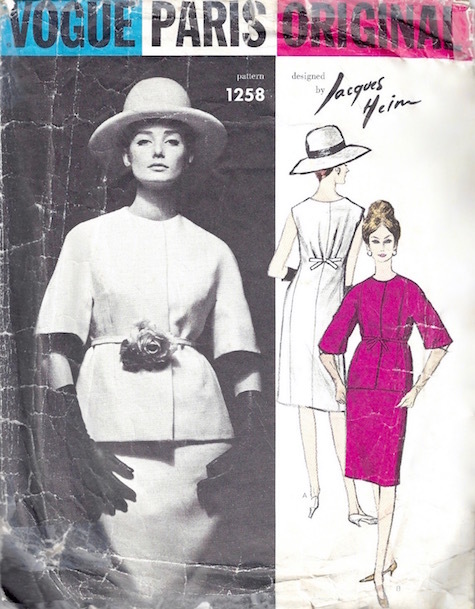 Vogue 1258 by Jacques Heim (1963) Image: Pinterest. 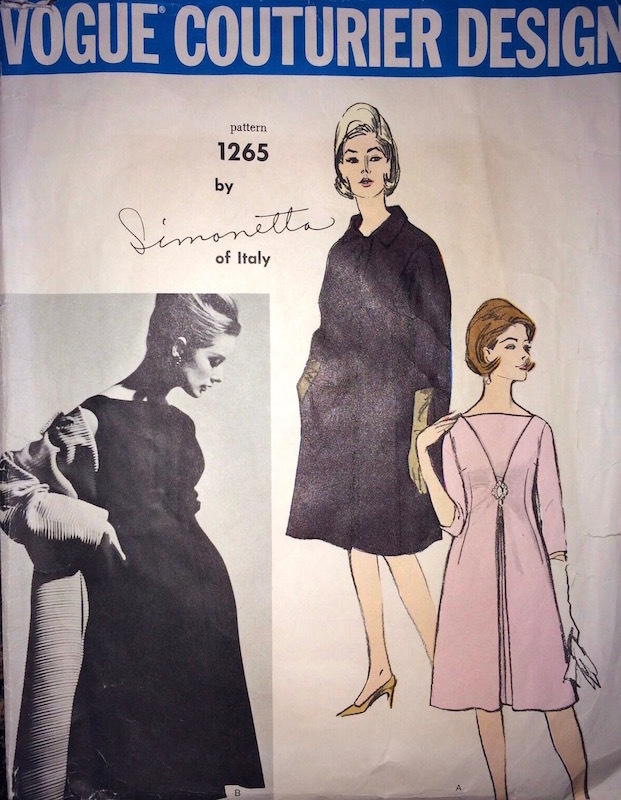 Vogue 1265 by Simonetta (1963) Image: eBay. 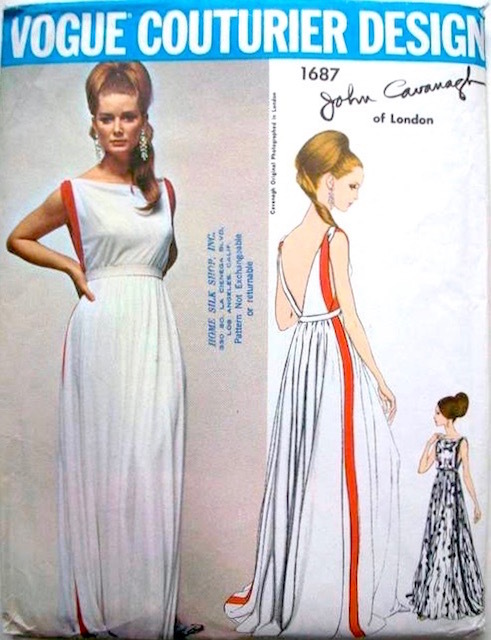 Vogue 1391 by Ronald Paterson (1964) Image: Vintage Pattern Wiki. 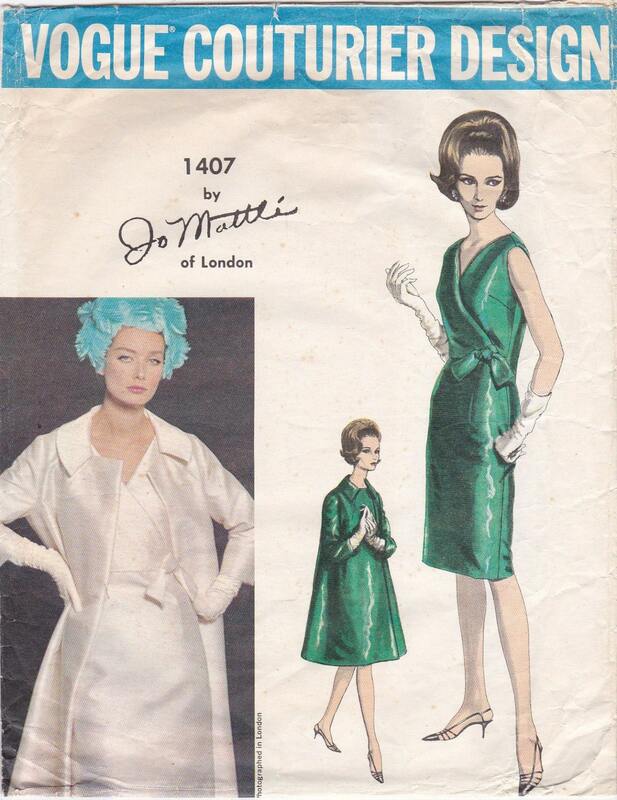 Vogue 1407 by Jo Mattli (1964) Image: Etsy. Vogue 1661 by Jo Mattli (ca. 1967) Image: Etsy. Vogue 1677 by Belinda Bellville (ca. 1966) Image: Etsy. Vogue 1687 by John Cavanagh (ca. 1966) Image: eBay. 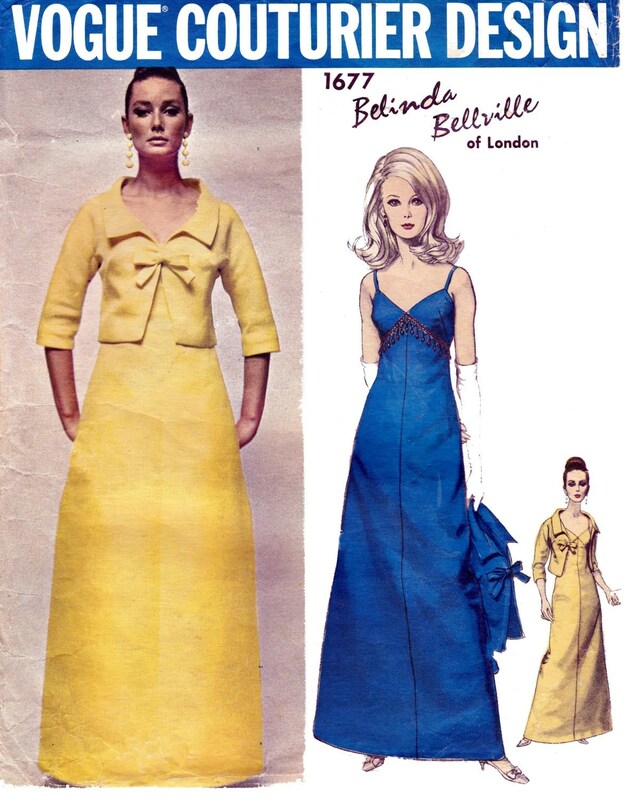 Tania Mallet wears Vogue 1693 by Federico Forquet (with Vogue 1758 by Ronald Paterson and Vogue 7158). 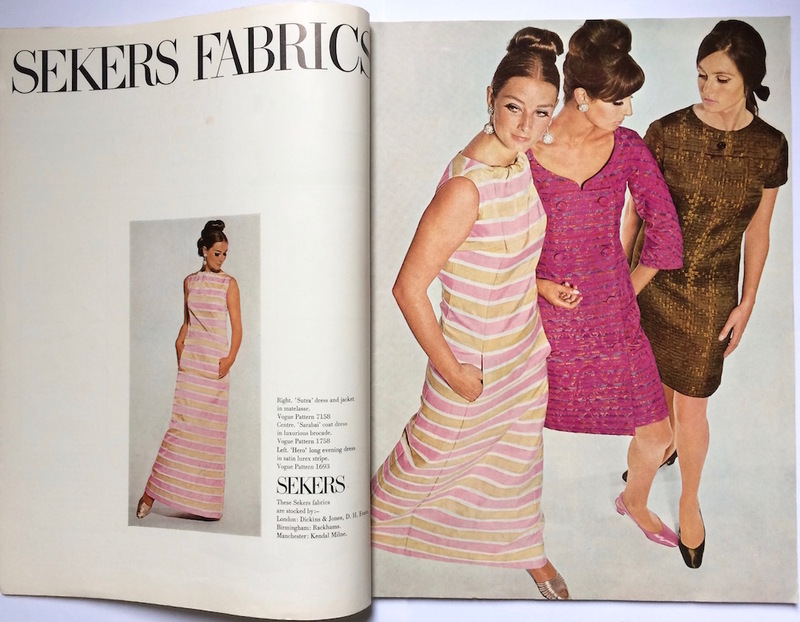 Sekers Fabrics advertisement, 1967. Full marks for hats and coiffure, don’t you think? Tania Mallet in Pucci on the cover of British Vogue, July 1961. Photo: Eugene Vernier. Image: Vogue UK. Tania Mallet in Pierre Cardin on the cover of Jardin des Modes, March 1962. Photo: Harry Meerson. Image: Jardin des Modes Covers. 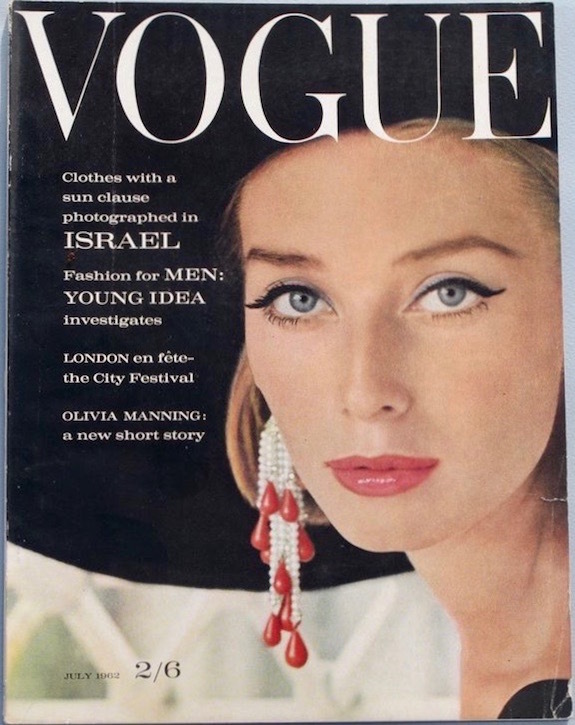 Tania Mallet on the cover of British Vogue, July 1962. Photo: Henry Clarke. Image: eBay. The image with the green Pucci is stunning.